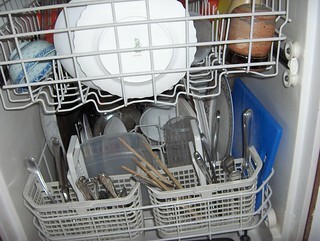 A newer or cleaner dishwasher. Modern dishwashers use an average of 5.8 gallons of water per cycle- older models can use as much as 10 gallons per cycle. Either clean and repair your dishwasher or consider replacing it with a newer model. A programmable thermostat. These devices are ideal for people who work or are otherwise away from home for a set period of time throughout the week. According to ENERGY STAR a programmable thermostat can save you about $180 annually in energy costs. A tankless water heater. By heating water only when it’s needed, tankless water heaters cut waterheating expenses and provide continuous hot water delivery. They can save the typical family more than $80 per year, or $1,700 over the 20-year+ life expectancy of the water heater. Ceiling fans. A ceiling fan will help keep your home at a comfortable temperature year round and help to reduce your energy bill.